With the Xbox division projected to earn big profits in the near future, investors are recommending it make a clean break from Microsoft. Microsoft is a giant multinational corporation made up of various divisions that each develop different products in the areas of software and electronics, with the Entertainment and Devices division bringing us merchandise like the Xbox 360 and Kinect. Due to the strength of the Xbox console, analysts are actually recommending that the Entertainment and Devices division be separated from the rest of Microsoft so it can reach its full potential. Whether Kinect will be the biggest platform launch ever or not is questionable, but there's no dispute over the fact that Microsoft's recent $679 million profit for the last fiscal year was driven by the success of the Xbox 360. 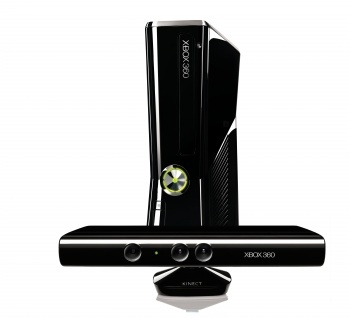 Now that the red ring of death is largely a thing of the past, there seems to only be room for more profit, especially if Kinect is a success. However, "corporate overhead" is said to "remain the biggest challenge" for the Xbox division. To remedy this, investment firm Goldman Sachs has recommended that Microsoft "carve off" its Xbox business. A recent Goldman Sachs report reads: "For example, the Xbox products could be an appealing stand-alone entity, given the historical success of the Xbox and the products' brand strength, and the business could show unlocked value with forced cost discipline compared to as a piece of Microsoft." The firm seems to think that a split would help Microsoft tighten its focus. Despite the impending launch of Kinect in November, for which three million sales are predicted by the holiday season's end (by Microsoft), Goldman has lowered their recommendation in Microsoft stock from "buy" to "neutral" due to threats from products like the iPad and services like cloud computing. As far as I can tell, a separate Xbox business would mostly be an easier way to determine if Microsoft's various new portions were worth investment or not, and wouldn't necessarily affect consumers.